Hanoi is making a lot of efforts to synchronously implement solutions to improve the business environment and carry out many specific activities to support enterprises in the locality. 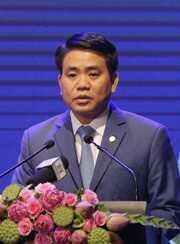 Mr. Nguyen Duc Chung, Chairman of Hanoi People's Committee, expressed his confidence in strong business development in 2019. Ngo Khuyen reports. Could you tell us about the socio-economic development of Hanoi in 2018, and the main goals and key tasks of the local government? Firstly, the economic growth has been maintained. Total local GDP increased 7.61%; total State budget revenue was estimated at VND238.79 trillion, exceeding 0.2% of the revenue target, increasing 12.5% ​​compared to 2017; exports reached US$14.23 billion, up 21.6%; tourists reached 26.4 million arrivals, an increase of 10.4% (6 million arrivals of international visitors) with total revenue from tourists reaching VND75,815 billion, up 14.2%. In 2018, Hanoi had 25,740 newly established enterprises with the capital of VND280 trillion (up 5% in quantity and 31% in capital). The city also successfully organized "Hanoi 2018 - investment and development cooperation" conference. 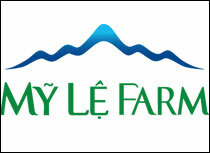 At the conference, it licensed 71 projects with total investment capital of VND397,335 billion (over US$17 billion). Hanoi has continued to be an attractive destination for investment: FDI registered capital estimated at US$7.5 billion - the highest after 30 years of opening and integration. Thirdly, the development of the urban and rural areas has improved. The city has completed and put into use An Duong Bridge; opened the first phase of the South route to public traffic; commencing building the ring road of Vinh Tuy Bridge - Nga Tu So. The rate of people in rural areas supplied with clean water by the end of 2018 is expected to reach 55.5%. Hanoi treated environmental pollution, improved the water environment at 129 lakes, building a system to monitor the water environment and air environment; speeding up the construction of solid waste treatment zones with advanced technology. The program of planting one million new trees has been completed two years earlier than the target. The city has 30 more communes meeting new rural standards, bringing the total number of new rural communes to 324/386 communes (83.9%); there are 3 more districts basically meeting the new rural district standards. Fourthly, the culture, education and health careers has continued to develop, while social security has been guaranteed. The city has been building and developing culture to meet the requirements of sustainable development; the international integration in education has been accelerated with the pilot training program of double high school baccalaureate; successfully organizing the 15th Hanoi Open Mathematical Examination. The quality of education has been maintained with achievements in excellent student exams with 132 national awards and more than 160 international prizes. The medical examination and health care for people has continued to be improved; many high technologies have been applied in diagnosis and treatment. Fifthly, political security, social order and safety have been maintained; ensuring absolute safety of key areas, political and cultural events in the area; the settlement of complaints and denunciations continues to be concerned. 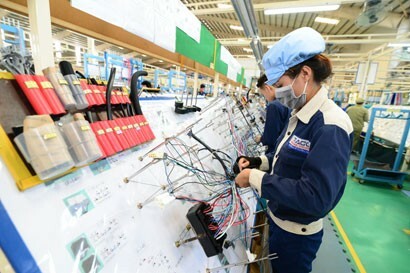 2019 is the breakthrough year of the five-year plan for 2016-2020, Hanoi continues to implement: "Enhancing the effectiveness and operational efficiency of the political system", striving to complete 22 targets, 119 tasks mainly focusing on performing socio-economic development tasks and solutions. The city will focus on strongly improving the investment and business environment; encourage innovation and more qualified start-ups; business development in both quantity and quality. The local government will continue to reengineer economic sectors associated with innovation growth models, improving productivity, quality, efficiency and competitiveness. Hanoi will try to better implement planning management, urban construction, new rural construction associated with resource management, environmental protection; enhancing the application of information technology in management and administration, gradually building a smart city; promoting administrative reform, streamlining the apparatus, streamlining the human resources; improving the effectiveness of direction, administration and law enforcement; preventing corruption and wastefulness, including emphasizing the roles and responsibilities of heads of branches and levels; consolidating national defense and security, ensuring social order and safety; Improving the effectiveness of foreign affairs and international integration. In the near future, Hanoi will focus on activities for the people to enjoy the Lunar New Year 2019 joyfully, safely and economically; organize activities to celebrate the Party, celebrate Ky Hoi Spring Festival to create an exciting atmosphere among officials, the Party members and the local residents. In recent years, has Hanoi promoted foreign affairs to raise the position of the capital in the international arena and affirm its role as a center of politics, economy, culture-society of the whole country? 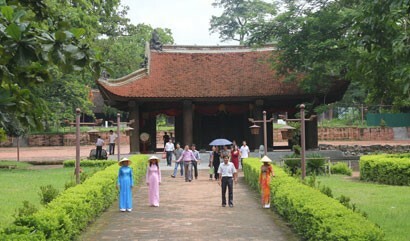 In recent years, Hanoi has continued to actively strengthen and expand international relations. The city has successfully organized many investment promotion events, successfully organized annual conference of "Hanoi - Investment and Development Cooperation". The city has signed and been implementing many large-scale investment cooperation documents with a number of large corporations from developed economies. 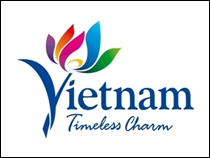 Hanoi has organized 55 foreign missions led by the city leaders; received and worked with 670 international delegations paying a courtesy visit, exploring opportunities for business and investment cooperation in the capital; coordinated and participated in welcoming official visits of 30 heads of countries. Hanoi has signed 20 international agreements with major capitals and cities as well as with foreign corporations and enterprises. 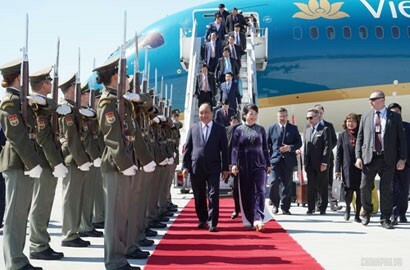 The relations between Hanoi and its partners in neighboring countries, big countries and important partners have continued to be strengthened, contributing to the nation's common external relations. Hanoi has continued to take the lead in actively participating in multilateral activities: contributing to building, improving our international position, and strengthening bilateral relations at multilateral fora. 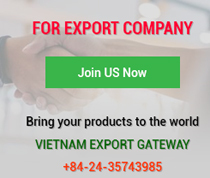 What are the solutions and activities that Hanoi has taken to support the business community in the area to be able to integrate internationally, especially to seize new opportunities brought by free trade agreements (FTAs)? 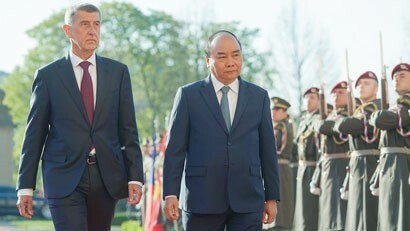 To actively promote information and propaganda on trade agreements, international integration for officials, public servants and businesses in many forms, focusing on issues of topical international economic integration such as: Applying KPI basic indicators in lean management in accordance with Japanese model for import and export enterprises in the city; FTA between Vietnam and the Eurasian Economic Union, opportunities and challenges in the period of Vietnam's participation in trade agreements; controlling economic concentration in merger and acquisition activities in the field of circulation distribution; Publishing information handbooks on FTAs for businesses to help them get full information on FTAs that Vietnam has participated in, thus being able to take advantage and reduce the challenges from implementing agreements. To improve the competitiveness of cities, enterprises and products in international integration. The city has strongly improved the investment and business environment with the spirit of "taking people and businesses as the center of service". 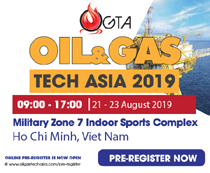 To strengthen trade promotion activities, implementing solutions to expand markets, developing and exploiting both traditional and potential markets for highly competitive and valuable products or product groups with a large proportion of export turnover. 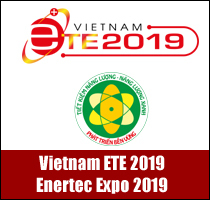 To support and train enterprises to improve competitiveness; deploying training courses and training classes to disseminate knowledge to enterprises and officials on the following contents: International integration, policies and commercial laws of Vietnam and other countries to take advantage of incentives in international commitments and take active measures to actively prevent barriers in trade; knowledge of the market; new technology skills and information technology management skills. To implement programs in order to improve the quality of labor training towards meeting international standards of such countries as Germany, Japan, Korea and Australia. In 2017, Hanoi's PCI increased 3.97 points, from 60.74 points to 61.71 points, ranking 13th out of 63 provinces and cities. This shows that the city government is affirming a great determination, a strong commitment to accompanying businesses and investors. What can you share about this effort? 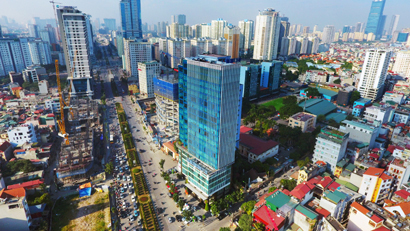 In recent years, Hanoi has directed aggressive implementation of tasks and solutions to improve the investment and business environment, increasing competitiveness, creating favorable conditions for businesses in all stages in the business activities, from business start-up to post-start-up activities. (1) To reform public administration and increase application of information technology in the provision of public services to reduce time and costs for businesses. Hanoi strives to complete 100% online public services at level 3 and 4 in 2019, and at the same time is directing the review, simplification and connecting of administrative procedures. (2) To encourage enterprises to start-up and start creative businesses; from August/2018, there has been specific policies such as support for information disclosure fees, seal making fees and delivery fees for business registration when carrying out procedures for setting up new enterprises; supporting human resource training for business households; no inspection of small and medium enterprises during the first 3 years of establishment. (3) To support businesses in accessing resources for production and business activities, especially premise, capital, market, technology. (4) To strengthen dialogue, training, listening, sharing and solving difficulties for enterprises; devote resources to support human resource training programs for businesses. (5) To tighten administrative discipline; build the working style of the government apparatus at all levels for businesses and citizens towards service, friendliness, professional and optimized facilitation. On the occasion of the Lunar New Year, what message would you send to investors as well as the business community? 2019 is the year to promote the progress of implementing socio-economic development objectives and tasks in order to prepare the best conditions for the completion of the five year socio-economic development plan for 2016 - 2020 and entering a new decade. Strictly implementing the Government guideline with high determination: "Discipline, integrity, action, creativity, breakthrough and efficiency", Hanoi has chosen the theme of 2019 as "Improving performance force and efficiency of the political system”, which includes "aggressively improving the investment and business environment; encouraging innovation, entrepreneurship; enterprise development in both quantity and quality "is the top target. I believe that with the strong leadership and direction of the State and Government; determination in the whole political system; the bravery, intelligence and creativity, the business community will promote achievements, continue to seize opportunities, overcome challenges and develop sustainably. We put our trust and expectation on the potential breakthrough of enterprises in 2019.